WALLA WALLA, Wash. – A winery that has experienced incredible challenges the past four years won best of show at the fourth annual Walla Walla Valley Wine Competition. 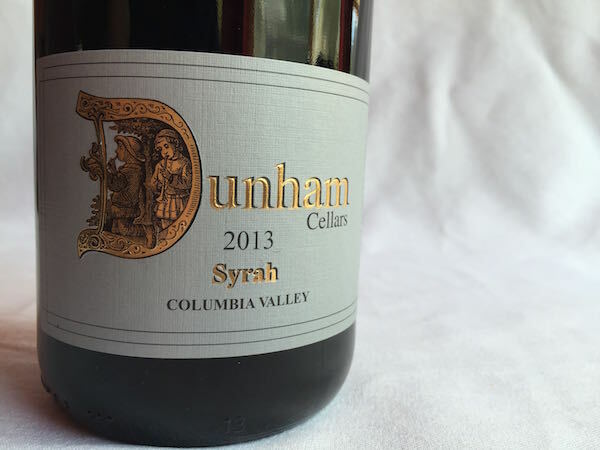 Dunham Cellars topped a star-studded list of entries with its 2013 Syrah. The Walla Walla airport winery – one of the oldest in the valley – also had the best white wine in its 2014 Lewis Vineyard Riesling. It has been a difficult three years for Dunham Cellars. In 2013, co-founder Mike Dunham died after a long bout with cancer. A year later, his son, founding winemaker Eric Dunham, committed suicide. Late last year, Dunham’s longtime head winemaker, Daniel Wampfler, announced that he was leaving to take over the cellar at nearby Abeja. In April, Tyler Tennyson was hired as Dunham’s head winemaker. Drink Washington Wine, a small new winery run by Brad Binko, won three gold medals – not bad for a guy who graduated from the Walla Walla Community College winemaking program two weeks ago. He won best bubbly for his sparkling Riesling, as well as golds for his Northern White and Rocket Man Red. The best rosé went to the Dolan & Weiss Cellars 2015 Julia’s Dazzle, a label for Long Shadows Vintners. 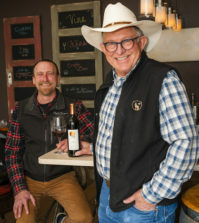 Walla Walla Vintners, which won best of show in each of the past two Walla Walla Valley Wine Competitions and is the reigning Pacific Northwest Winery of the Year for Wine Press Northwest magazine, earned a double gold and best of class for its Dolcetto and two additional gold medals. Woodward Canyon, the valley’s second-oldest winery, won two unanimous double gold medals for its Chardonnay and Old Vines Cabernet Sauvignon, as well as a gold medal for its Estate Reserve. The competition was staged at Walla Walla Community College. A portion of the proceeds from the Walla Walla Valley Wine Competition help fund scholarships at the college’s viticulture and enology program. April Reddout, wine program director for the Walter Clore Wine & Culinary Center in Prosser. 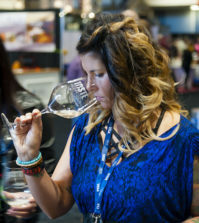 Reddout regularly judges competitions across the Pacific Northwest, including the Cascadia Wine Competition, the Platinum Judging, the Great Northwest Invitational Wine competition and Savor NW. Hank Sauer, a Walla Walla native, is master facilitator for Great Northwest Wine and a longtime wine educator who teaches seminars throughout the Pacific Northwest. He is a frequent judge and also helps coordinate competitions with Great Northwest Wine. 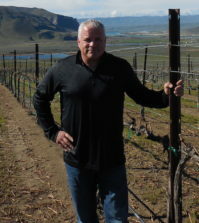 Mike Rader, a financial consultant in Kennewick, is a member of Great Northwest Wine’s tasting panel and can often be found orchestrating the backroom at such events as the Cascadia Wine Competition, the Great Northwest Invitational Wine Competition and the Platinum Judging. 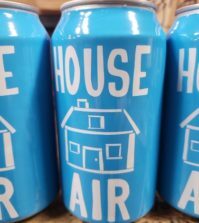 Paul Sinclair is a retired school teacher who is a longtime volunteer for Great Northwest Wine and Wine Press Northwest magazine. He can be found either judging regional wine competitions or helping to pour wines at them. Ken Robertson is a member of Great Northwest Wine’s tasting panel and is a wine columnist for Wine Press Northwest magazine. Robertson is the retired executive editor of the Tri-City Herald and has been writing about wine since the 1970s. He judges wine competitions throughout the Pacific Northwest and serves as chief judge at two international tastings – the Cascadia Wine Competition and the Great Northwest Invitational Wine Competition. Here are results of the 2015 competition. Here are results of the 2014 competition. Here are results of the 2013 competition. Here are the complete results of the 2016 Walla Walla Valley Wine Competition.